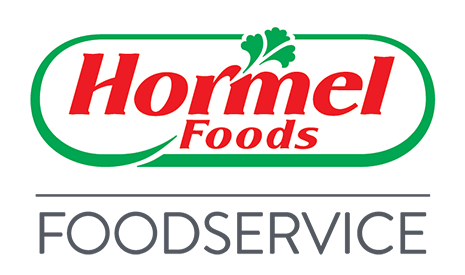 Hormel Foods is a team of great people committed to making safe quality food offering choices that make life better for our customers. It is a fantastic place to work, and if you’re open to moving it allows for an extremely diverse career with many divisions across the globe. As vice president of affiliated in the Refrigerated Foods division at Hormel Foods, Mark Morey oversees Burke Marketing Corp., Applegate Farms and Dan’s Prize, Inc.
Morey began his career as a meat products sales representative in Dallas in 1993 and the same year became a territory manager in Minneapolis. In 1994, he became a meat products product manager at the company’s former Dubuque (Iowa) Foods facility and in 1995, became a regional foodservice sales manager for Dubuque Foods in Boston. In 1998, he returned to the Corporate Office as the product manager of fresh pork. Two years later, he became the director of marketing, Precept Foods, and in 2006 became a group product manager in meat products. In 2008, he advanced to director of fresh meats marketing and general manager of Precept Foods. Morey moved to president of Dan’s Prize in 2009 then became president of Farmer John in 2015. He was named to his current position in 2017. Morey is a graduate of the University of Wisconsin-La Crosse, where he earned his master’s degree in business administration, and he received his bachelor of arts degree in business and communications from Concordia College in Moorhead, Minn. Morey is a graduate of the University of Minnesota Carlson School of Management Executive Program in Minneapolis. He volunteers with the Faith Evangelical Free Church and the Boy Scouts. Morey and his wife, Hiedy, have three children. President, Jennie-O Turkey Store, Inc.